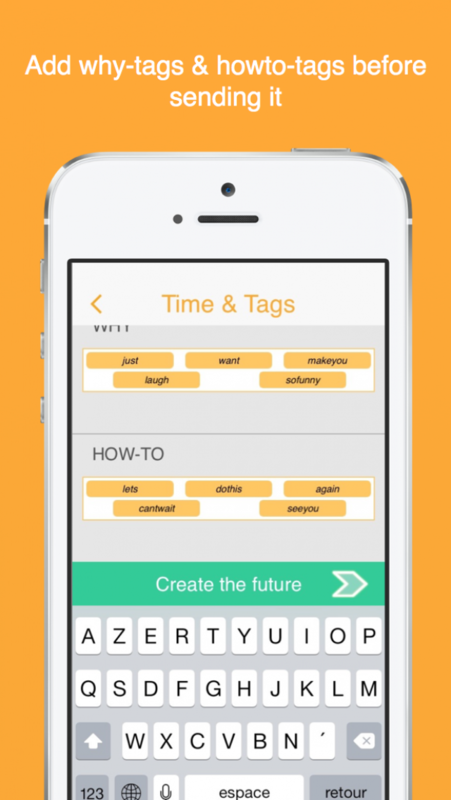 Pendilly is an up-and-coming messaging app for iPhones running on iOS8 in the US & France. Pendilly allows anyone to type a message, or capture or import a photo or video, and then choose a specific future time to deliver the message. The recipient then receives a notification letting them know a message is on the way, but doesn't tell them who sent it, or when it will arrive! We are inviting everyone in the US & France to beta test Pendilly, and get in on the fun of the app before it goes public. How Do Users Make a Pendilly? 1. Anyone can simply type a message, or take a photo (or import one from the camera roll), or capture a video (or import one from the camera roll) to send to the lucky recipient. Photos and videos add to the mystery and enjoyment of a Pendilly message. 2. Select a specific time in the future to deliver the Pendilly. Delivery times can range from a minimum of 1 hour, all the way up to a maximum delay of 1 month. The recipient will receive a notification that a Pendilly message is on its way, but they won't be told who it's from, or what the message is about. 3. Optional "Why" tags add to the fun! Why tags are sent to the Pendilly recipient to view before the delivery date. The recipient won't know anything else about the upcoming Pendilly message before it is delivered. 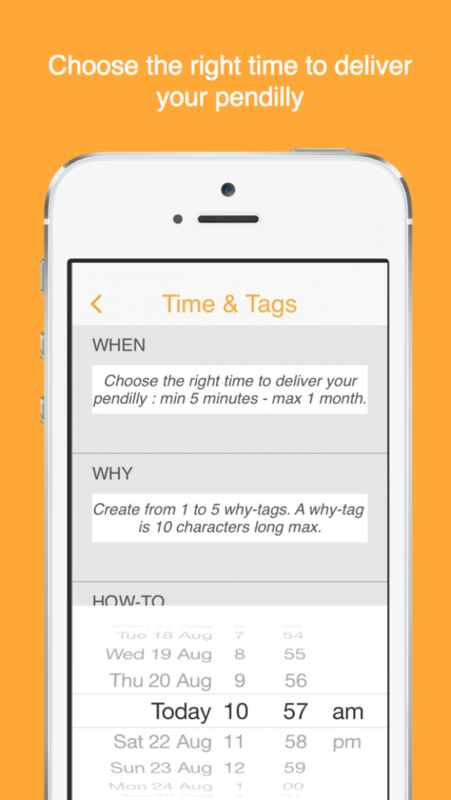 Be creative, drive the recipient crazy with curiosity with hints about the message via the Why tags. 4. Send the Pendilly directly to the recipient to be delivered at the scheduled time. Their anticipation will continue to build until the Pendilly is finally delivered. After the recipient reads the Pendilly, it's almost guaranteed to receive a great reaction! 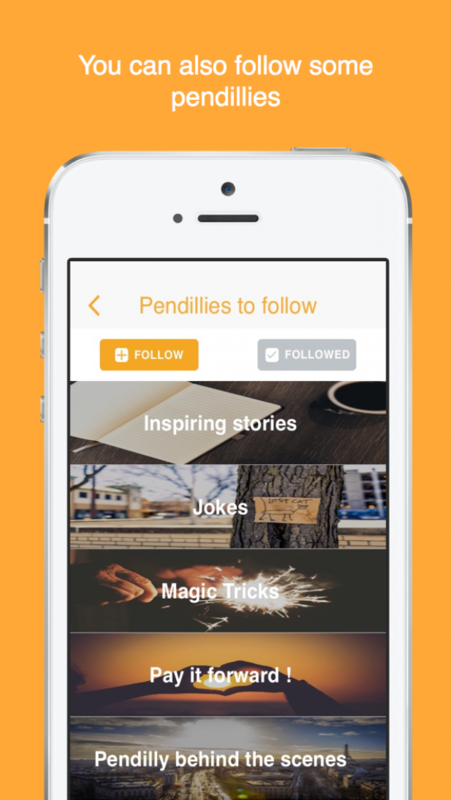 We are inviting iOS users ages 15 to 25 who are interested in beta testing Pendilly, to get in on the fun of the app before it is is released to the general public !